Pam: Have you ever bought a pen because you were so blinded by it’s beauty? Well, the Pelikan White Tortoise (with EF nib) was that pen for me. When I indulged in my “pen binge of 2016” (Thanks Franz!) 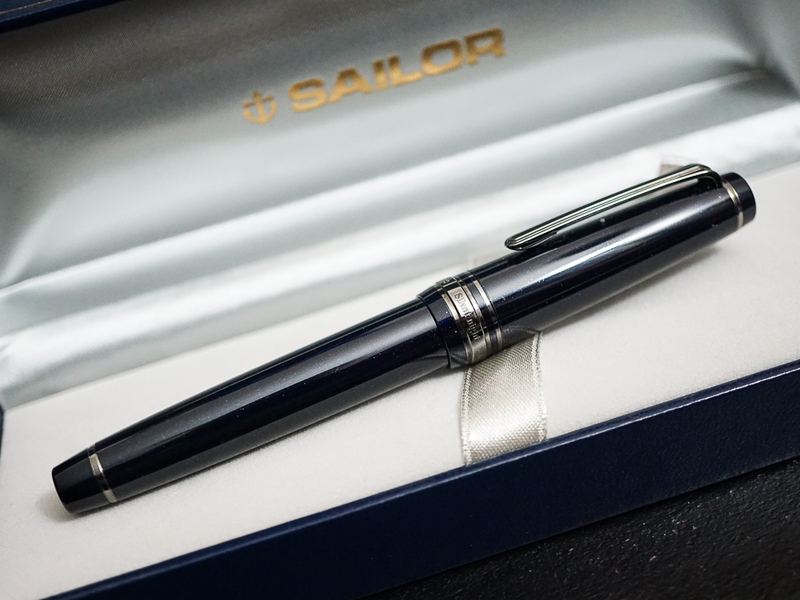 I had bought the pen at a great deal but was very lost on it’s place in my collection when I received it. (I didn’t expect to get more than one grail pen within a year, I thought I had more time to consider these things!!) Most unfortunate was that despite the beauty of the pen, I couldn’t find a pen that compelled me to want to write with it. Instagram and fellow pen lovers to the rescue!!! It was Heidi from Four Fifty Two (I think) who inked up Yama-budo in her White Tortie. I finally took the plunge and copied the genius combination! What a pairing! I find the wetter EF nib to be great with Yama-budo since it provides more ink to the page and thus a more saturated color. (My first foray with this color was in a super DRY nib that led me to believe that this ink was more pink than crimson.) The color itself is beautiful and most importantly, readable. The color is dark enough for great readability, but is not your usual blue or black, or even purple. The color is so unique and the gold sheen really clinched this ink for me. Katherine: My pairing for Feb has been my Sailor Sapporo Bung Box Silent Night & KWZ Twilight. Limited editions galore. My Silent Night has a wonderful wet Zoom nib in it — perfect for showing off the varied shades of KWZ Twilight. Additionally, the pen and ink pair thematically to me — the bright to dark teals of KWZ Twilight fade into the dark blue, almost black of the Silent Night. If only KWZ Twilight glittered in its darkest spots. 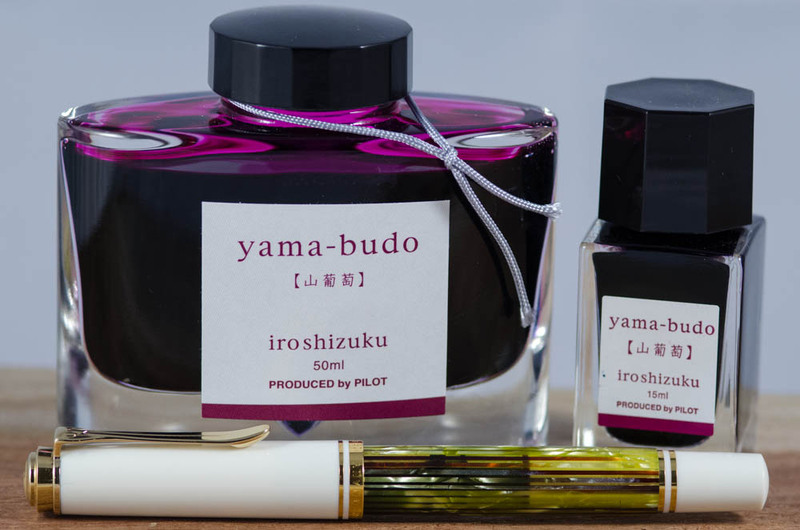 Actually, if I had one wish for this ink, it would be that I had more than a sample. Hence, only the pen is pictured above. Franz: My pen and ink pairing for the month of February are both new to me within the month. It is the Retro 51 Marlin EXT fountain pen, and the Monteverde Capri Blue ink. I have wanted the Marlin pen since last year and when I heard it was being discontinued, I “had” to have it. On the Vanness Pens site (www.vanness1938.com), I found their last one so I purchased it right away as my “birthday” pen. 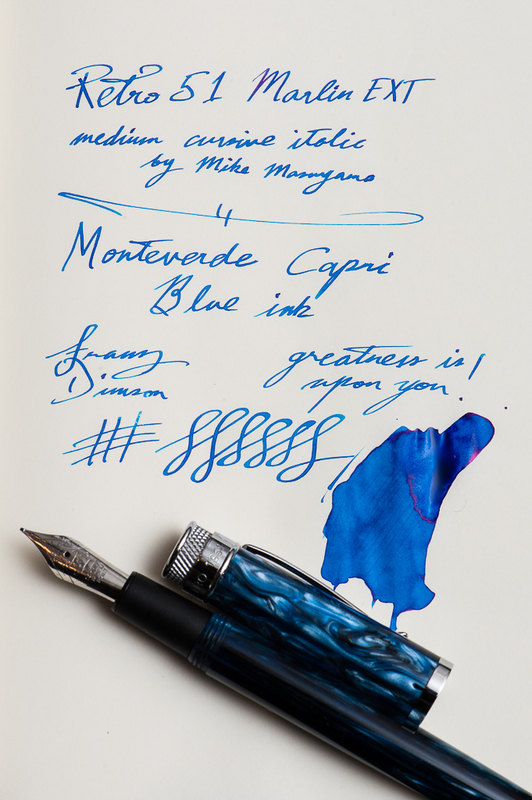 Once I got it, I immediately inked it up with the Monteverde Capri Blue. This was the first pen I’ve inked with the Capri Blue and I’m very happy how it matches the swirls in the barrel of the Marlin. The ink’s color is also usable for my workplace so it’s a pairing I can use both for the home and office. Now to top this pairing off, I had Mr. Mike Masuyama (www.mikeitwork.com) transform the medium nib into his cursive italic grind at the recently held LA Pen Show. Writing sample in the photo below. So the Marlin has become one of my top favorite pens. The Marlin will be a mainstay in my lineup for the 6 Pen Challenge that I will be participating in the whole month of March. 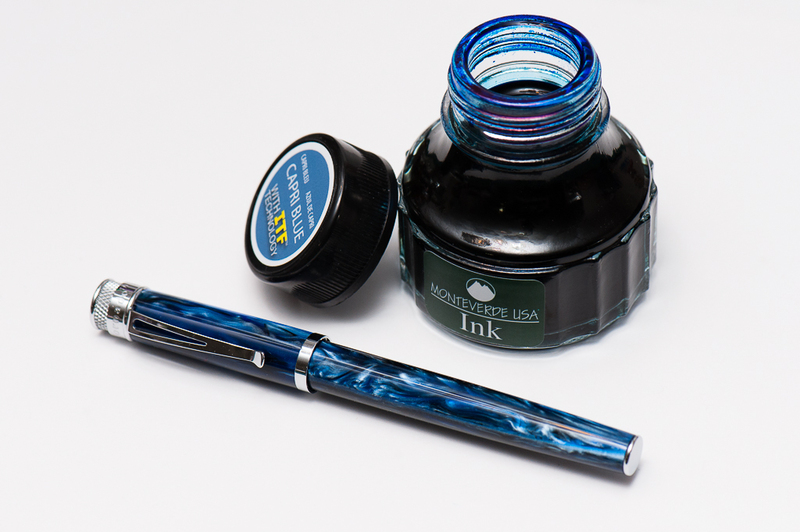 What are your recent pen and ink pairings? 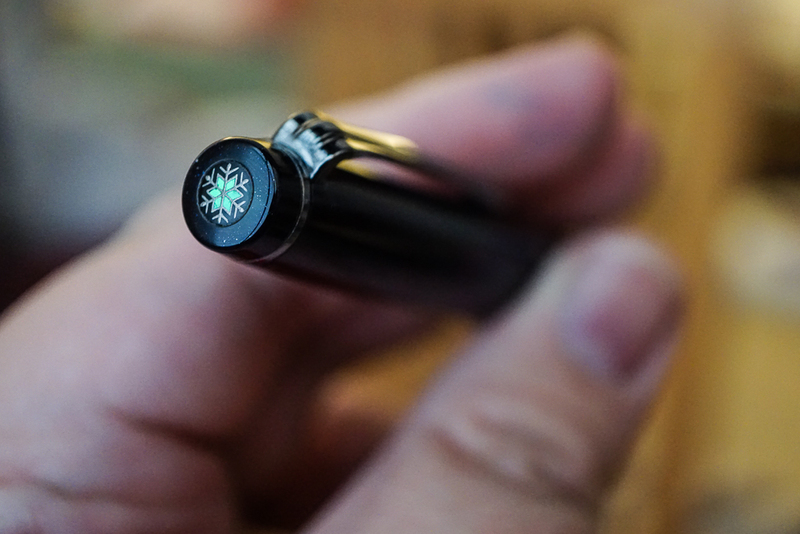 As this very moment, I’m using my pilot Metropolitan with Lamy green. not the best green one TBH. Very cool! What color is your Metro?